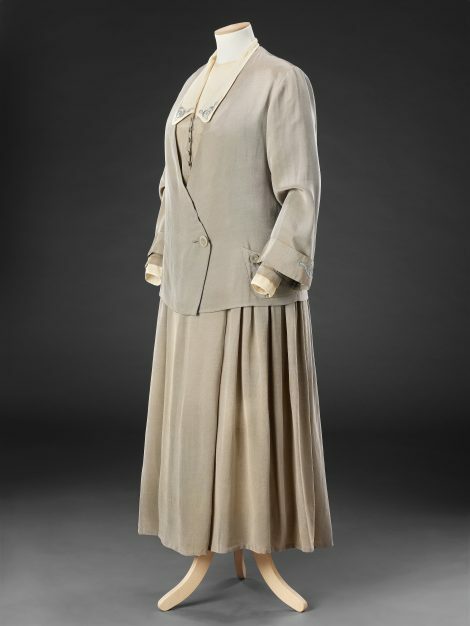 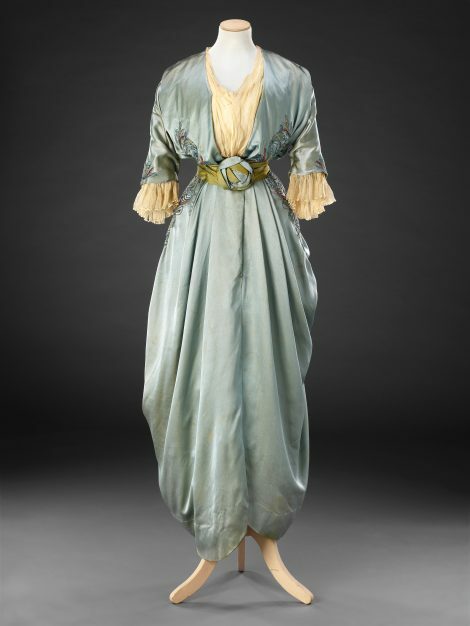 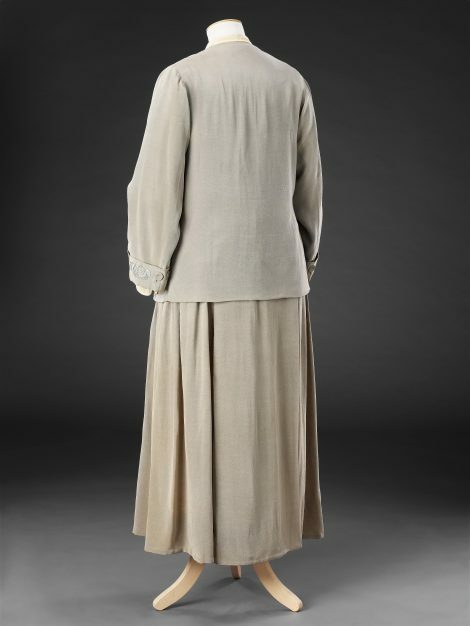 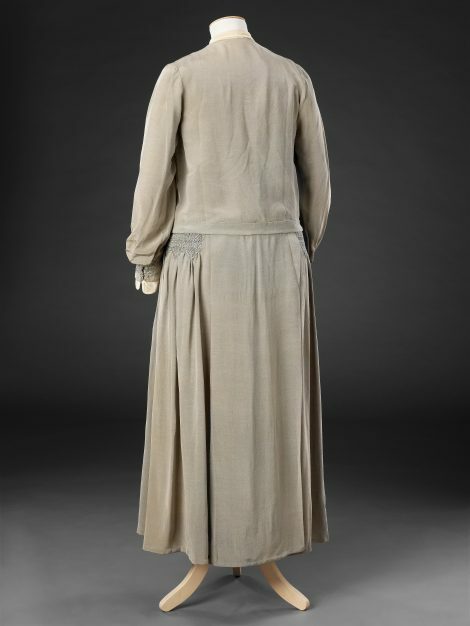 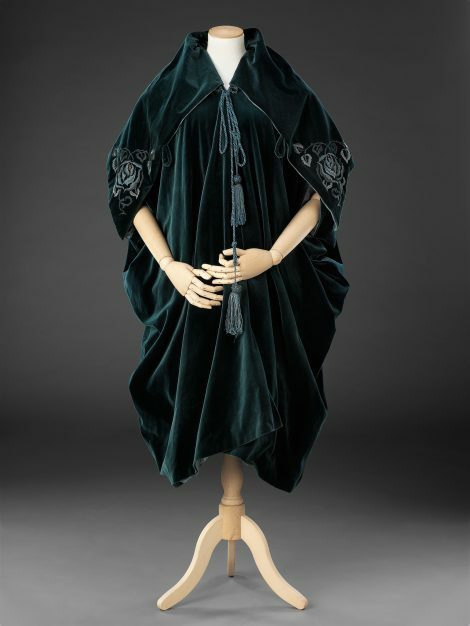 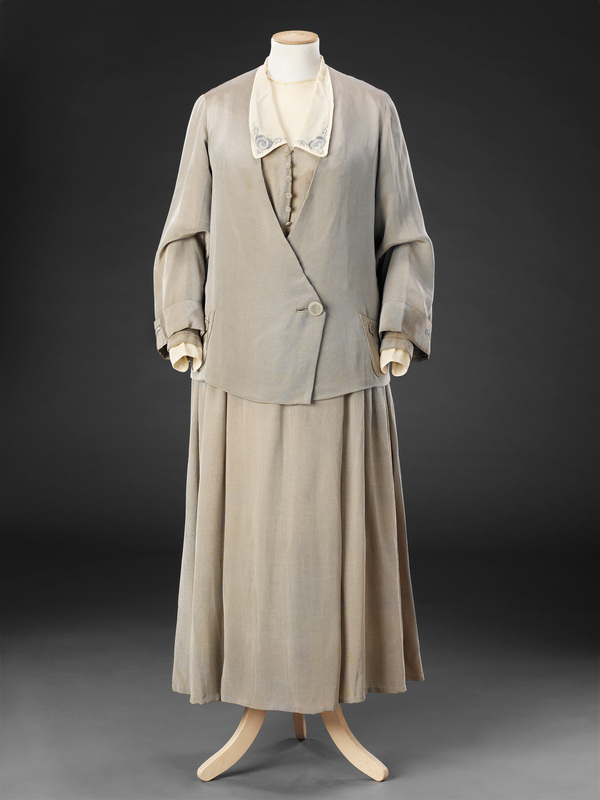 Like many other garments in the John Bright Collection that were originally acquired from Liberty (see Related Items) this dress and jacket outfit has had the characteristics of the shop’s recognisable style imposed upon an otherwise mainstream fashionable line. Made of softly coloured and gracefully draping ribbed silk, the long sleeved dress has a loosely cut bodice with a detachable embroidered collar, inner cuffs and a false front of cream georgette; and a straight skirt with deep pleats on each side of the front and back. 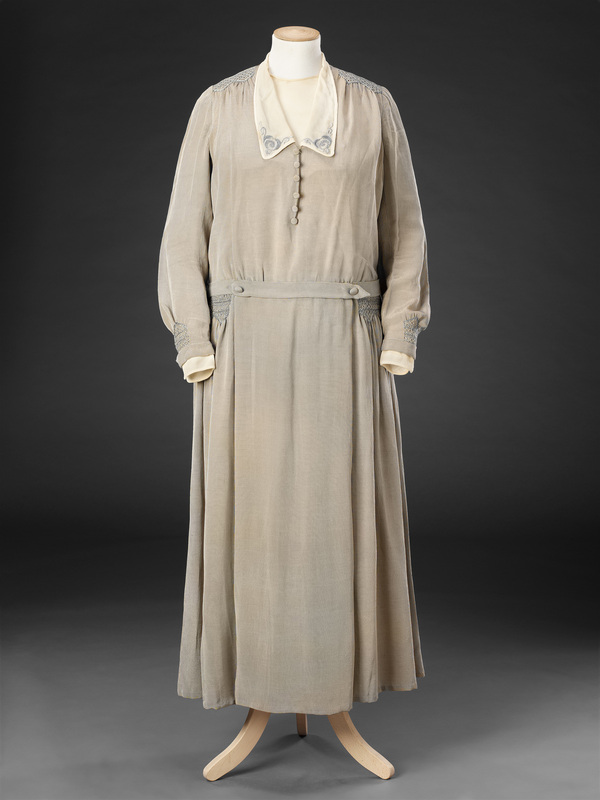 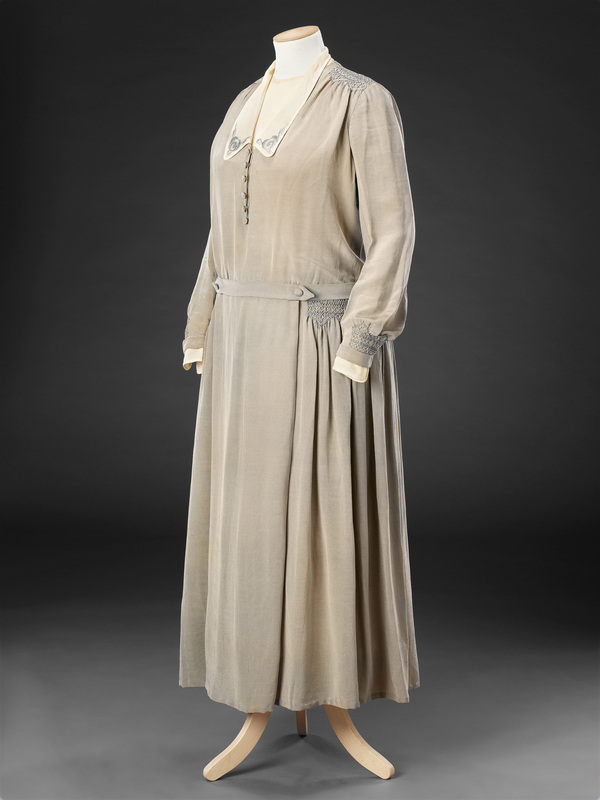 The shoulders, sides of the waist and lower sleeves are smocked in shades of light grey, smocking being a traditional technique promoted by Liberty for which their workrooms were renowned. The loose jacket, with a wrapover front fastening, is embroidered on its cuffs and pockets with stylised flower and foliage motifs, matching those of the dress collar, that recall earlier examples in the Collection (see Related Items) on a simpler scale. 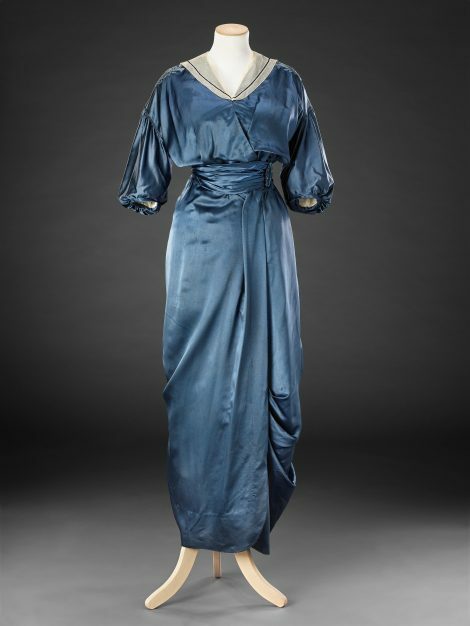 Additional Images show a contemporary catalogue of Liberty blouses from spring 1921 and loose plates of spring 1919 that once belonged to the collector and founder of the Bath Museum of Costume, Doris Langley Moore. 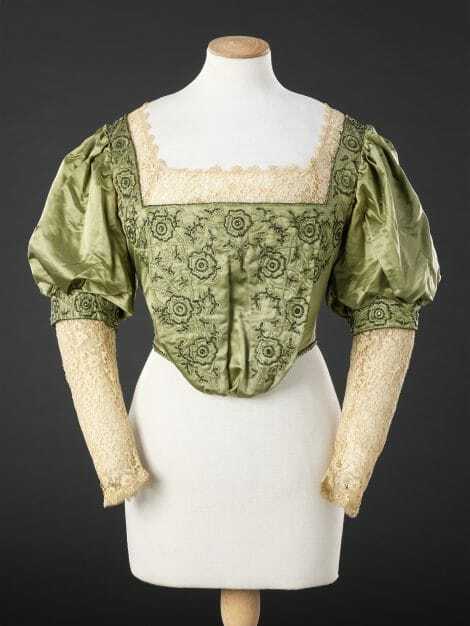 Prices of the blouses ranged from £ 1.7.9 to £7.7.0, with those that were handmade, embroidered or trimmed with hand printed silk naturally being the more expensive models. 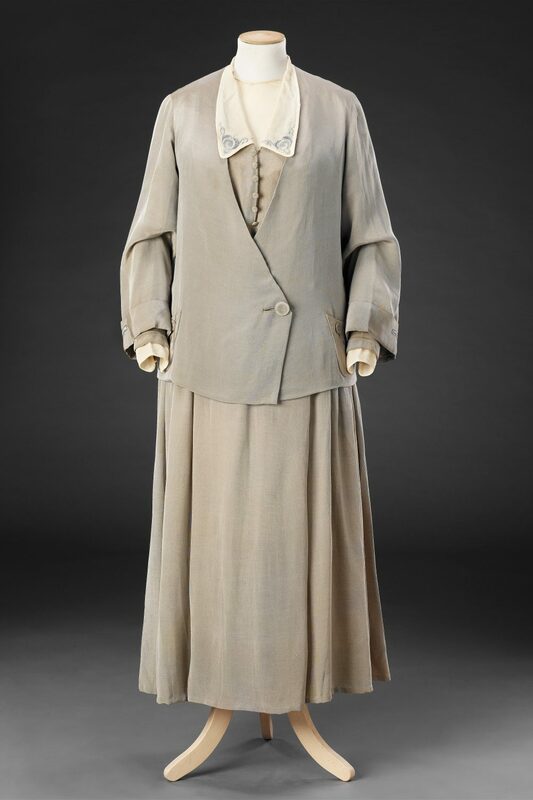 One of the loose plates shows a dress and jacket outfit and another a dress ornamented with smocking and embroidered flowers that are both very close in concept to our example.